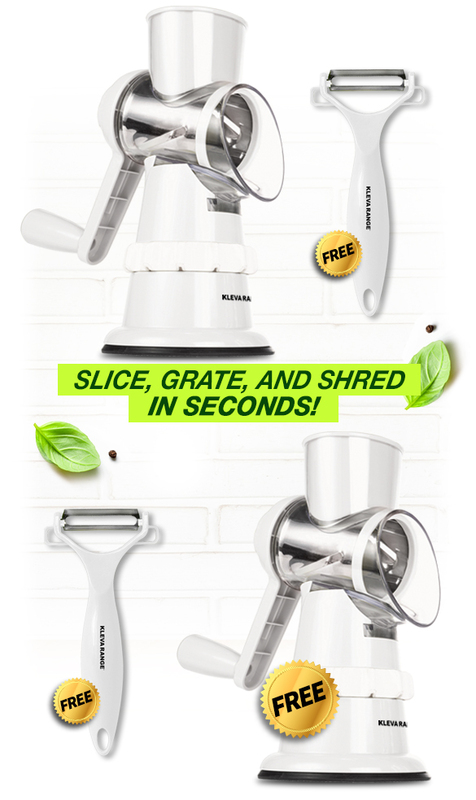 HomeBest SellersBuy 1 Get 1 FREE Kleva Sumo Slicer on TV - Slice, Grate and Shred in Seconds PLUS 2 FREE Sumo Precision Peelers! Or 4 x $17 easy payments interest free with Afterpay. 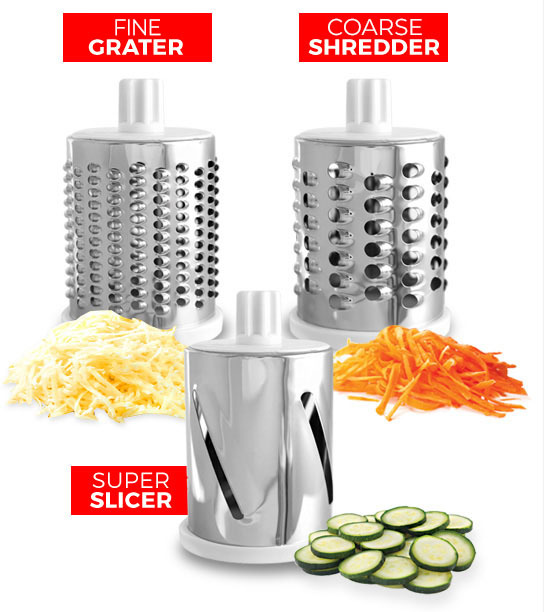 The Slicer on TV with stainless steel interchangeable drums Fast, efficient hand powered rotary grater comes with 3 different drums. This is very easy to use and clean. 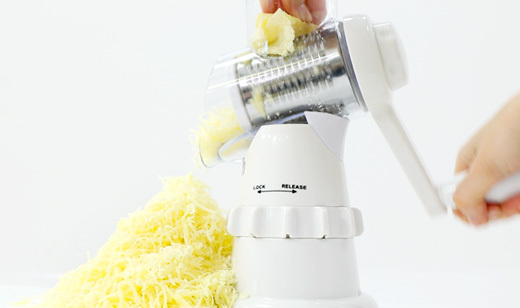 Fast, efficient hand powered rotary grater comes with 3 different drums. 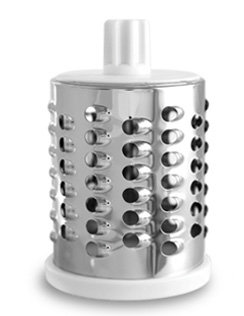 This Drum grater is a coarse shredder, super slicer and a fine grater making it the ultimate tool for creating delicious dishes or desserts! The amazing Slicer on TV! 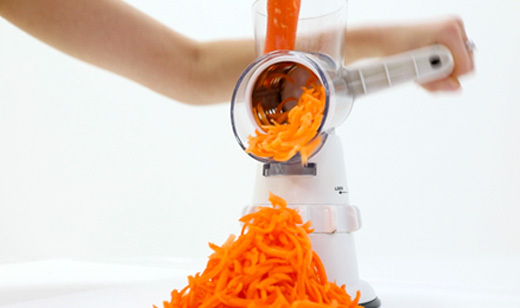 this is the Shredder, the Slicer, the mincer the drum grater that you have seen on TV that makes kitchen prep a breeze! 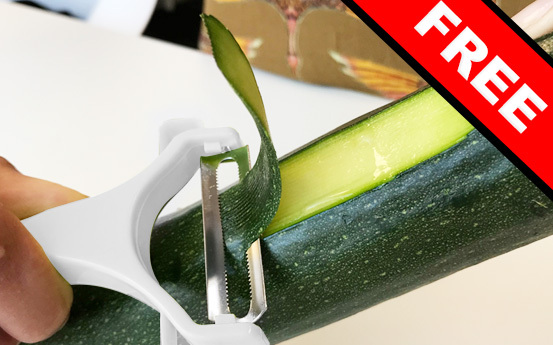 If you have seen this slicer on the morning show you will love how you can Produce thin slices of cucumber, zucchini & potatoes. These thin slices are perfect for making homemade chips, salads and au gratin vegetable dishes. 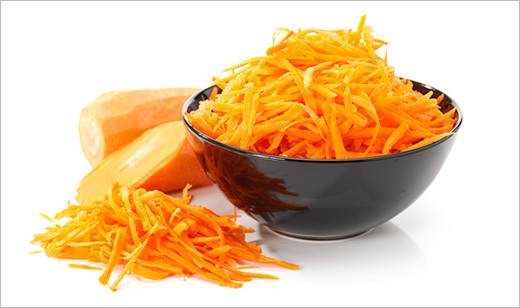 If you have seen this Shredder on the morning show you will love how you can Produce shredded cabbage, potatoes, carrots, cheese and many other items. 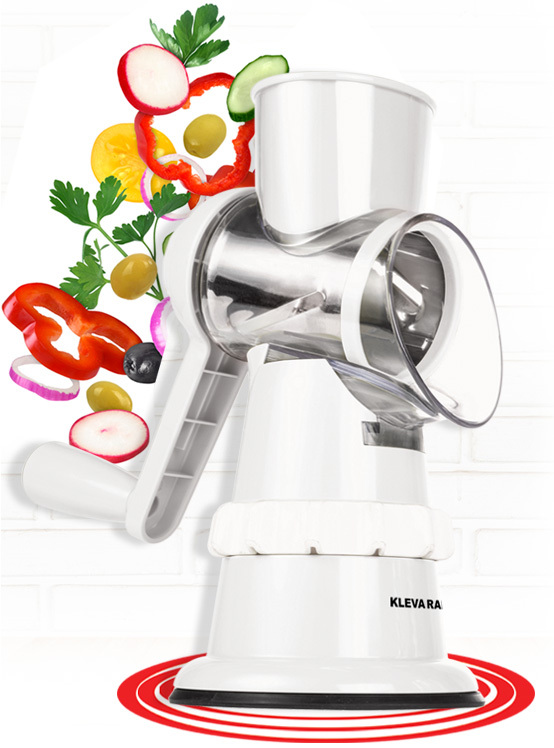 This drum is perfect for preparing ingredients for coleslaw and numerous salads. 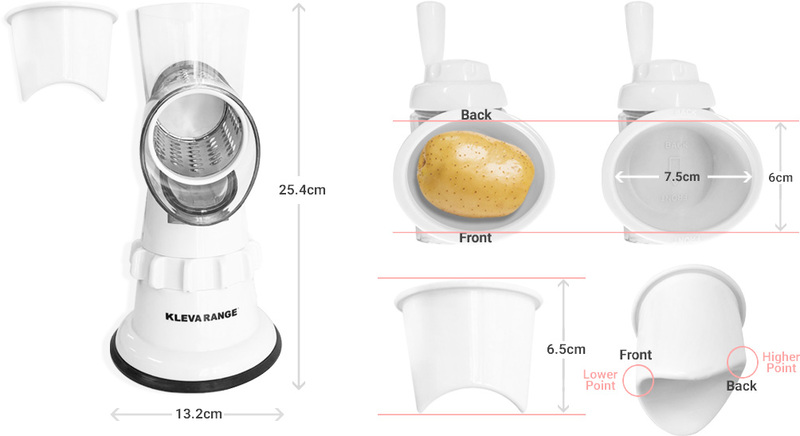 If you have seen this Mincer on the morning show you will love how you can Produce finely grated cheese, biscuits & nuts. This drum makes quick work of grating onions to incorporate into dips and dressings. 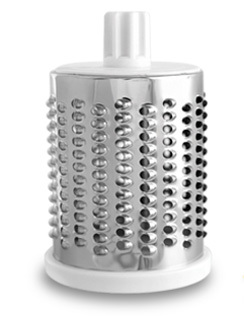 This is the Grater on TV that is also a shredder and a Mincer to help make life fast and easy. 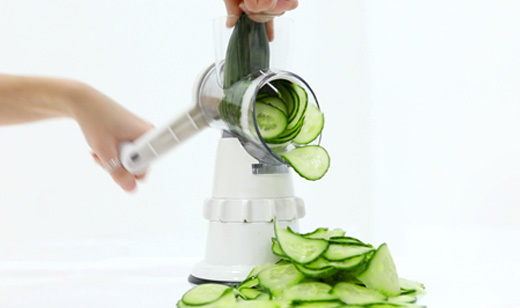 The sumo slicer makes slicing and grating, so much easier and faster. thank you..
Thats great thank you Paula! Love it. 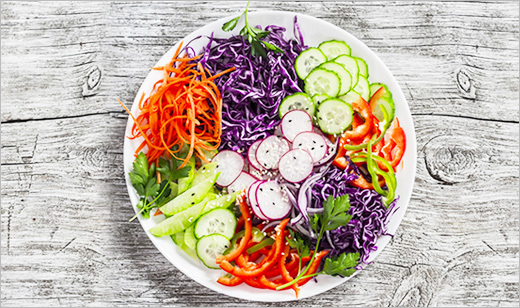 Makes food preparation a breeze, especially salad vegetables. Excellent, Great product works perfectly. Gave one to my sister in law. 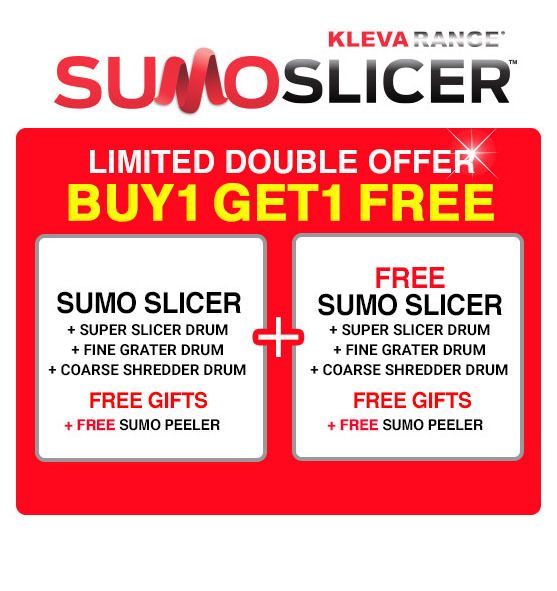 Kleva Sumo Slicer on TV Buy 1 Get 1 FREE PLUS 2 FREE Sumo Peelers! Love. Love. Love. As someone who has gone through a terrible medical illness i can't really use my right arm a great deal. The Sumo Slicer enables me to still prepare the family meal. The way that it suctions onto the bench and can be set up so easily is a god send. It helps me to be a bit more independent. I have recommended it to so many people. Especially at rehab where people are in the same situation as me. Brest TV shopping i have done. 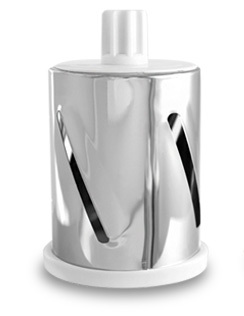 DOUBLE OFFER: 4 Miracle Magnetic Dusters Plus 2 BONUS Extension Poles + 4 FREE Drain Cleaners!